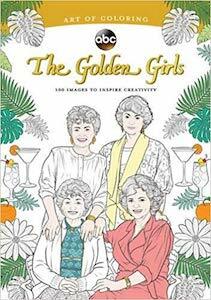 Now you can get your own Golden Girls Sophia PEZ Dispenser. 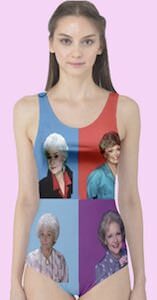 If you like The Golden Girls and candy then you are in luck as this is the typical PEZ dispenser and it is pink with on top the head of Sophia from The Golden Girls and she has white hair and her big glasses. The pink base will hold a pack of PEZ candies and a pack is included and then when you fold the head of Sophia back a candy will appear. And this PEZ dispenser comes in a fun box that you can look into so that you can see Sophia even without unpacking her. Doctor Who fan can have chocolate for Christmas because now there is a box of Tardis holiday chocolates. 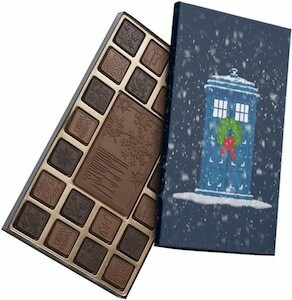 The Doctor Who chocolate come in a nice holiday box that has a blue background with the Tardis in front and the Tardis is standing in some snow and it is snowing so maybe it will be whiter when you get your chocolates. The Tardis also has a holiday wreath on the door. Inside the box you will find 40 Belgium chocolates and it is a mix of milk and dark chocolates and all are decorated with holiday theme print. Surprise the Doctor Who fan in your life with their own box of Doctor Who chocolates this holiday season. 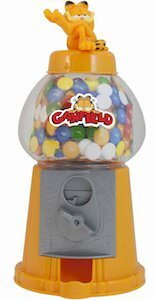 If you like cats and gum then you need this Garfield gumball machine. The gumball machine is manly orange just like Garfield with a see through globe where the gumball go into and then on top of that you can see Garfield the fun cat we all know from the cartoons and movies. 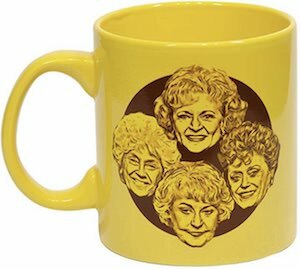 Now you just have to fill it up with gumballs and you will be ready for when ever you feel like blowing gum bubbles. Just find a nice spot for this Garfield gumball bank and I know it will look cool in your home, maybe in the kitchen or your office. Kids love Hello Kitty and candy so what could be more fun then combining the two. This is a cute flip top box full of fun Jelly Belly candies and on the box you can find Hello Kitty holding some of those yummy jelly beans. Each box hold 1 oz (28 grams) of candy in fun flavors and they make the perfect party favor or trick or treat candy for Halloween. 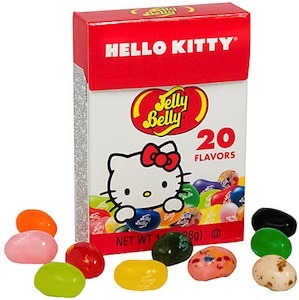 What ever party you have if Hello Kitty would like it then you want these Hello Kitty Jelly Belly Flip Top Box Candy. If like to eat Smurfs then you are not very welcome here but we found a sollution to make it alright. These are not real Smurfs but candies that look just like them. And they are gummi candies so the even feel a bit like the Smurfs do. 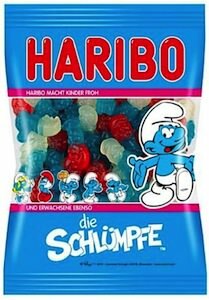 The candies are made by Haribo and come in a 200 gram bag full of Smurfs. So if you like gummi candies and the Smurfs then you have to try The Smurfs Gummi Candy. 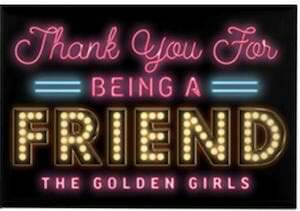 If you are looking for a cool and fun theme for a party then here it is. Why not have a Transformers party, starting with this pinata shaped like the popular Autobot leader Optimus Prime standing up in battle mode with awsome detail. Not only do you get the Optimus Prime pinata this is an entire pinata kit, included is 1 Optimus Prime pinata, 1 blindfold and 1 (3 pound) bag of candy filler. Also you will notice that this pinata has a special pull string feature to let out the candy from the bottom trap door as a safer alternative. 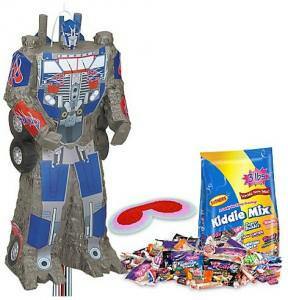 Take a closer look at the Transformers Optimus Prime Pinata Kit. Sesame street favorite Big Bird is here to give you more than just a great lesson……..CANDY. 12 inches in height this giant PEZ dispenser features the head of Big Bird, well made and awsome detail this Big Bird also plays some cool and fun music and includes 12 rounds of PEZ fun. The window box style will allow you to keep this Sesame Street Big Bird in mint condition, by not opening it, while letting you display and view it whenever you need to. Find your Seasame Street Big Bird Giant Pez. PEZ collectors really want this item and I am sure that Star Wars collectors also have their eye on it. This is a giant PEZ of Darth Vader. So as expected this PEZ is black and has the head of Darth Vader on it. But this giant PEZ does more. If Darth Vader give a PEZ candy it will play Star Wars music. The Darth Vader PEZ is 12″ tall and comes with 12 packs of PEZ candies. OK Star Wars fans come check out this Star Wars Darth Vader Giant PEZ. There is Hello Kitty but this time the famous kitten looks a bit different. OK she still has the typical Hello Kitty head with red bow but the rest of her body is straight and red. Yes you already noticed it to that this Hello Kitty is a PEZ candy dispenser. And not just a small dispenser either no this is a giant 12″ Hello Kitty PEZ dispenser. And this Hello Kitty PEZ dispenser comes with 12 packs of PEZ candies to go in to the dispenser. If you want this Hello Kitty PEZ dispenser for your collecntion then be quick as there are not made any more so when all of them are sold then the party is over. Come check out this Hello Kitty Giant PEZ Candy Dispenser. 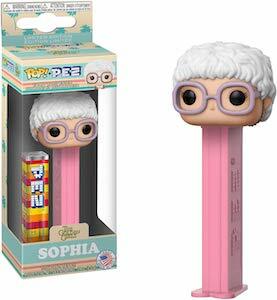 How about a 12″ PEZ? Yes this is a giant PEZ despenser of Homer Simpsons. The Simpsons fans are going crazzy over this item and I am sure that PEZ collectors want Homer to. This giant Homer Simpson PEZ comes with two packs of PEZ candies so that you can use it like any other PEZ dispenser. Time to shop Simpsons, time to get your Homer Simpson Giant PEZ Dispenser.